As we all know, most large IT cloud companies offer some way to do the Cross-Region Replication for their data storage. As they are expanding across the globe in a race to provide the best disaster recovery and also their ability to use storage in different regions I wanted to spend 5 seconds to look at the options offered by Amazon, Microsoft, and Google. Note: The following article is work in progress. Below text is only a draft to offer a starting point. Cross-region replication is a bucket-level feature that enables automatic, asynchronous copying of objects across buckets in different AWS regions. To activate this feature, you add a replication configuration to your source bucket. In the configuration, you provide information such as the destination bucket where you want objects replicated to. You can request Amazon S3 to replicate all or a subset of objects with specific key name prefixes. For example, you can configure cross-region replication to replicate only objects with the key name prefix Tax/. This causes Amazon S3 to replicate objects with a key such as Tax/doc1 or Tax/doc2, but not an object with the key Legal/doc3. Let’s say you’re hosting your data in Amazon S3 storage. If you visit S3 console in Amazon AWS, you’ll see the following option that allows you to automatically replicate the data across various regions (Figure 1). Microsoft Azure offers the same option, but they call it: Geo-redundant storage. Microsoft’s Geo-redundant storage (GRS) replicates data to a second region that is at least hundreds of miles away from the first region. You can simply enable GRS on your account, and your data will be durable even in the case of a complete regional outage or a disaster in which the primary region is not recoverable. Figure 2 shows where to enable it in Microsoft Azure. And Google offers the same option, but they call it Multi-Regional Storage, which is designed for 99.999999999% durability, with data maintained in geographically distinct locations. Multi-Regional Storage is geo-redundant, which means Cloud Storage stores your data redundantly in at least two regions separated by at least 100 miles within the multi-regional location of the bucket. This ensures maximum availability of your data, even in the event of large-scale disruptions, such as natural disasters. In order to provide geo-redundancy, Cloud Storage utilizes multiple Google datacenters within a given multi-regional location. Some of these datacenters may not be explicitly available as regional locations. For example, Multi-Regional Storage buckets created in the European Union may utilize Google datacenters in the Netherlands or Finland, in addition to the datacenter associated with europe-west1. Figure 3 shows where to enable Multi-Regional option in Google Cloud Platform. Figure 3 – Google Cloud Storage (2016). Amazon Web Services. (2015). 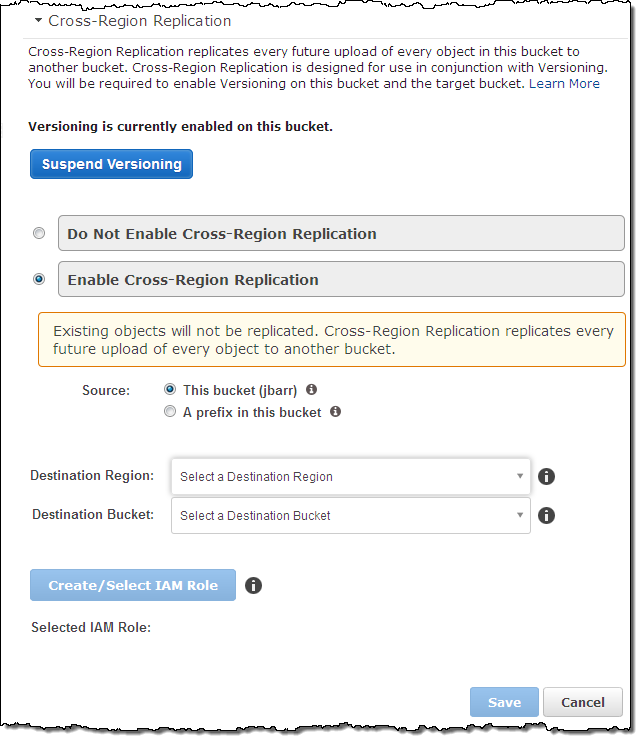 New – Cross-Region Replication for Amazon S3 | Amazon Web Services. [online] Available at: https://aws.amazon.com/blogs/aws/new-cross-region-replication-for-amazon-s3/ [Accessed 11 Jul. 2017]. Yung Chou on Hybrid Cloud. (2014). High Availability, Disaster Recovery, and Windows Azure. [online] Available at: https://blogs.technet.microsoft.com/yungchou/2014/03/03/high-availability-disaster-recovery-and-windows-azure/ [Accessed 11 Jul. 2017]. Google Cloud Storage (2016). 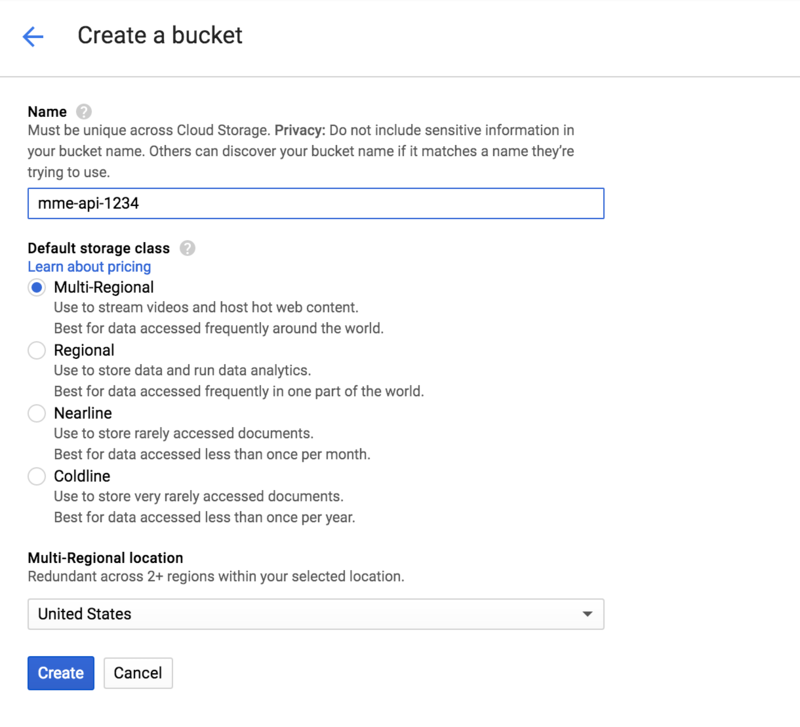 Google Cloud Storage – Console Setup. [online] Available at: https://support.dronesmadeeasy.com/hc/en-us/articles/218295003-Google-Cloud-Storage-Console-Setup [Accessed 11 Jul. 2017].